Cloud-computing software company GoodRevu has announced the launch of its online performance evaluation software with a simple icon-based, drag-and-drop evaluation interface. Users create reviews through a selection of icons that represent the skills and goals for each employee. The simplified interface is designed to decrease the amount of time required to construct evaluations so that more time can be spent focused on using them constructively and improving workforce performance. For individuals, GoodRevu provides an evaluations tool to complement their corporate system and reduce the amount of time required to complete performance evaluations. As reviews are completed in GoodRevu, results are then entered into their corporate software. For organizations, GoodRevu can replace traditional software services and increase the completion rates for anywhere from several to hundreds of employees. For industries, GoodRevu also offers performance evaluation content for specific jobs like HR, marketing, and customer support. 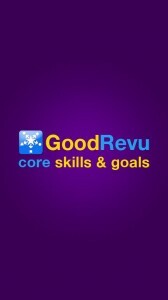 GoodRevu is available for a free 30-day trial including complete use of all of the business and productivity skill and goal creation content. Free trial accounts are available here.